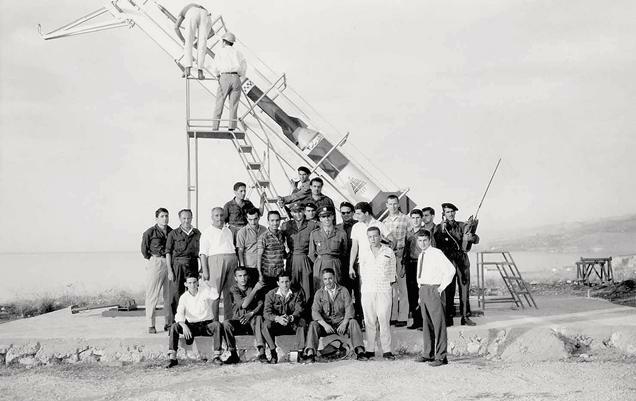 In the early 60’s, during the cold war and the apex of Pan Arabism, a group of utopian students and researchers enters the race to space and create the Lebanese Rocket Society. Sometimes, and specially nowadays, dreams can overtake a tormented history. For the last 15 years, they have focused on the images, representations and history of their home country, Lebanon and questioned the fabrication of imaginaries in the region and beyond. Together, they have directed documentaries such as Khiam 2000-2007(2008) and El Film el Mafkoud (The Lost Film) (2003) and feature films such as Al Bayt el Zaher (1999) and A Perfect Day (2005). Their last feature film, Je Veux Voir (I Want to See), starring Catherine Deneuve and Rabih Mroue, premiered at the Cannes film festival in 2008. The French critics Guild chose it as Best Film Singulier 2008. Their films have been multi awarded in international festivals and enjoyed releases in many countries.